No matter whether you are a tenant who plans to move out of a rented property or a landlord who wants to prepare a cosy and clean environment for new potential tenants, the end of tenancy cleaning services of our company are your best choice in West Finchley, N3. We are Fast Home Cleaning London and we can make all grime go away! We are sure that each and every one of our dear customers will be happy with the results provided. If somehow they are not fully satisfied with the results or have any remarks, we would be glad to return and re-clean the area free of charge. 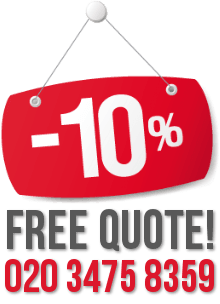 The rates we set are cost-effective so you can easily afford to book our end of tenancy cleaning services, without you having worry about your budget. The housekeepers who work at our company are very friendly, smiley and professional individuals with many years of practice in this field. Our working schedule is flexible and you can even book us on weekends or official holidays. We can cover the entire area of West Finchley, N3. Make sure to call us today! End of tenancy cleaning is not an easy job to do on your own and it definitely should not be neglected. If you want the task to be done properly, you will need additional assistance. We are a well-established end of tenancy cleaning providers and we operate in the British capital – London. 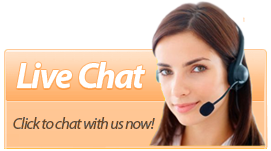 Feel free to contact our customer care support and request the information you need to know about us and what we do. Our kind operatives will walk you through our procedures. You are definitely given a number of cleaning options as we offer a wide range of professional cleaning services. No matter whether you are a landlord or a tenant, we can guarantee a hundred percent customer satisfaction. Make us your choice and we are sure that you will not regret it. Our end of tenancy cleaning offers a thorough cleaning of your rented property on a very low price! All of the rooms will be properly cleaned with modern machines and eco-friendly cleaning products. No sign of dirt will remain after the cleaning procedures are done! Hallways and stairs are included in the service. How long does it take for you to clean? The time to clean a property depends on the number of rooms, how spacious the property is and how much dirt we have to deal with. It usually takes a few hours. 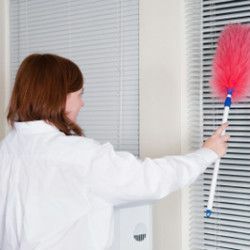 In all cases the desired results are always achieved, because our professional cleaners will not leave before everything is thoroughly cleaned. How can I book the end of tenancy cleaning service? You can always contact us online, on our e-mail or call us. You can also come at our agency’s office. The booking is easy and our customer support team is ready to book you an appointment for the service and give you any information you need to know. We are nature’s friends and we dedicated our work to creating a safe environment for all of our customers. With the end of tenancy cleaning service, we use only environmentally-friendly cleaning products and detergents which are in no way harmful to the property’s surfaces and do not cause damages to your health or the health of the next tenants! You are safe with our cleaning service. Our cleaners will come to your property at the appointed time. For your convenience, they will bring all the necessary cleaning equipment which is composed of the most advanced cleaning machines and products. Usually, our cleaners operate in West Finchley, N3 but if you need them to come anywhere in Arkley, Islington or Finchley, say no more. They will be right on time to make your home shine brighter so that you can impress your landlord and collect the check-out deposit in full. 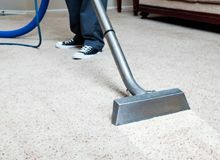 We assure you that our employees will deliver a quick and efficient cleaning session which is to the highest standards. In case of need, they can return and re-clean for free. Are you too excited about the new place you have found so that you are not able to clean your old one properly? We know that when one daydreams, the results of the cleaning session are not always so satisfying and efficient. It is the reason why we offer you to count on us with your end of tenancy cleaning. Our housekeepers are ready to take care of your property while you focus on more urgent matters like packing your personal belongings or rearranging your new place. The most tempting part is that you will be leaving with your security deposit in a pocket. 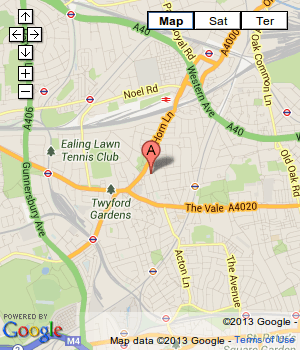 You can find us any day of the week in our head offices located in West Finchley, N3, London.